The cobra is one of the most dangerous animals in the world, Cobra symbolizes Grace, Speed and Power. It was also a royal symbol in ancient Egypt. Crystal stands for beauty and Magic. 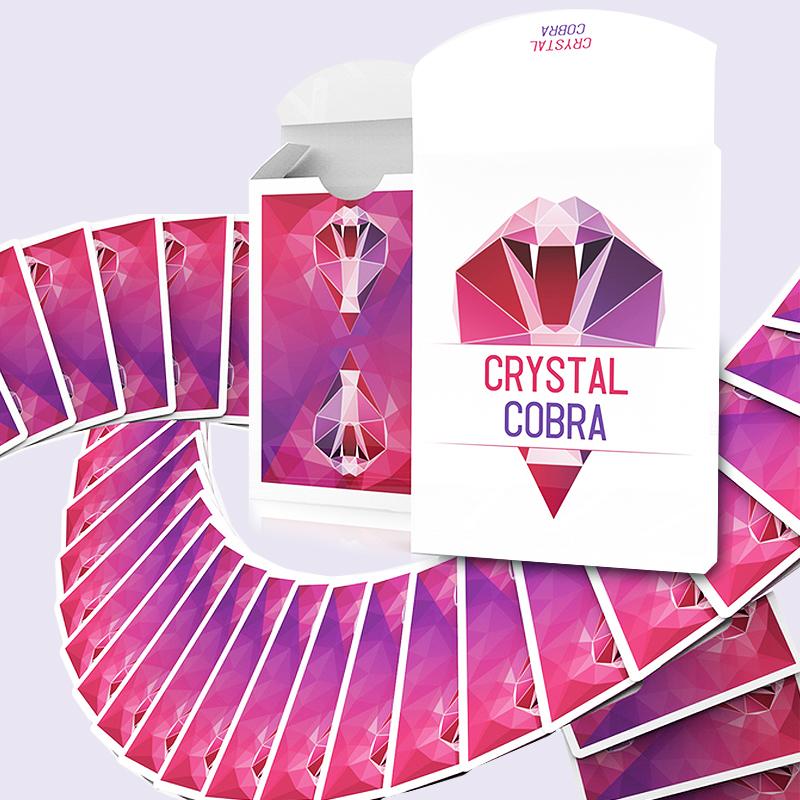 These two symbols were combined together to bring you a gorgeous deck of cards: Crystal Cobra Playing Cards. Low Poly As main color, Purple and Blue were used for the graphic design, which looks mysterious. Fully customized JQKs In Order to make the card face better for visual performance, a lot of time was spent to redesigned all 12 JQKs cards. Every single picture card is beautifully customized and different from the others. Mnemonica Order & Box Prediction & Two Gaff Cards The new deck is in Mnemonica order, so you can perform tones of mind reading effects with a brand new deck. A 10 of hearts has been secretly designed a on the side tab of the box, so you can perform prediction effects. Each deck contains 2 practical gimmick cards. - Printed by USPCC. - Limited to 2500 decks. - Bicycle stock, Air-cushion finish. • The cards are poker size.